*Note: Currently only available for Android. iOS coming soon. Before installing the APK file, on your device, go to Settings → Security → Tick the “Allow Unknown Sources” box. This must be ticked in order to install the APK file. Back to the app screen, remove the old Idle Heroes (P) app then try to reinstall again. Make sure you are using the latest APK file. Try to use another file browser or APK installer to install it again. You can easily find some in the Play Store. Completely remove the game, remove the old apk file on your phone and download the new APK file above. This problem is caused by using the old APK files. There is no way to fix this. Just ignore the message and you will be fine. The game is totally safe. Monthly cards are always active. Daily rewards sent to mail after the first day. Casino Wheel and Shop Rewards Modified. Seasonal Server starts from 1st to 28th every month. Compete with the others and try to see how far you can get in that time. At the end rewards will be sent to your S1 character. Check the Season button at the bottom of the screen in town to see your rankings and the rewards. Good luck! x0.5 Hero level up gold cost. Hello guys, we are here to focus on an honest review on the game Idle Heroes and specifically the Idle Heroes Private Server. Idle Heroes is a roleplaying action and an intensive fun game with a notable amount of distinctive RPG on Google Play. Limited time updates of this game encourage many people to celebrate spring by playing this game. This game related expectations of fans of role playing games in recent times is increased. 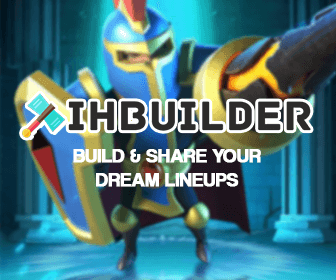 You may be a beginner to this game and think about how to get a few key ideas and guidelines to build a team of Idle Heroes. There are loads of elements in this game. All beginners to this game these days have to consider such things and enhance their proficiency to successfully engage in this game environment. I give you easy to understand guidelines about this game and support every team to become the number one. There are different guides of this popular game. These guides cover class and faction considerations, team composition building and heroes selection. This is advisable to begin with the guidelines about how to compare heroes against each other. If you build the best team, then you require the best heroes in the game to play on a regular basis as per your wishes. I’ve been playing this game for a couple of weeks now. I fall in love with different aspects of this game. Usual f2p antics in this game equally help all players to get there as soon as possible. There is no need to spend anything when players equally get things required on time. The game is generous with loads of premium currencies used to buy different types of products and upgrade weapons designed to fight in a cool way. As a potential player of this game, you have to login to do a few things at all times unless you may have a push on the progress and stay on long until you get a good point. You have to be very careful when you cannot progress until heroes become strong. The fast Internet connection is required for playing this game without any obstacle. This is advisable to use the 4G or advanced mobile Internet to engage in this game. Idle Heroes Private Server involves a good mixture of some elements of popular idle games. Role playing game elements in this game include, but not limited to the gear and hero gathering with different rarity levels. There is no rebirth option in this game so far I’ve played. If a player gets stuck, he or she requires grinding better gear or explore options for new heroes. An Idle System is an accurate feature of this extraordinary game. Every player of this game is willing to know and apply the best strategies. The evolving strategy type in this game adds the maximum fun to the game and makes players satisfied. 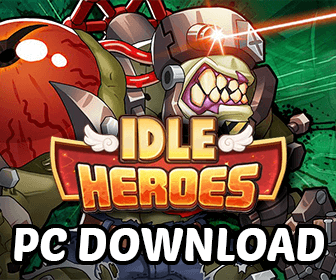 Explore the gameplay of the Idle Heroes Private Server and how to take advantage of diamonds offered by this game without a need to spend cash all through the engagement in this game. Idle Heroes game is categorized as a game clicker category. Regular updates of this game published by Idle-Games Company comes from Beijing, China nowadays supports all new players and existing players. The main attractions of this game encourage everyone to enjoy unique and entertaining elements in it. This game is equipped with loads of attractive features. Some of the main things associated with this game are different types of heroes, distinctiveness of the game play and simplicity. I rate this game for 5 stars in the Google Play Store without any doubt. This is because this game was entirely awesome for me. Idle Heroes game was released on November 9, 2016. Even though this game was released 2 years ago, this game gets the maximum popularity and satisfied players all through the world. Positive reviews and testimonials from players of this game not only attract everyone, but also encourage them to prefer and play this game. All players of this game get 100% entertainment and make their wishes on the enhanced entertainment in the free time comes true. It is the best suitable time to be aware of the level of visibility of this game all through the world. This game has totally 5 million downloads on the Google Playstore so far. Every listener to the reviews of this game gets ever-increasing desires to engage in it without delay. They directly download and install this game on their android mobile to play. You may like to play the role-playing game and have the highest possible fun in recent times. You can get a good improvement in the overall entertaining activities and confidently recommend this game to others. This excellent game gets fans worldwide and makes players happy as long as they engage in the best game environment rich in the best graphical designs. Idle Heroes was created and developed by Dhgames. Dhgames is known by its extraordianry action games like the avenger legends, the kingdom in chaos, the galaxy defend, the treasure defense and turn & turn game. All games of Dhgames are rich in amusing elements and recommended by all players. Dedicated and experienced personnel of this reputable game development company these days develop fantastic action games with an aim to make all players more contented than ever. Regular updates of features of the Idle Heroes Private Server nowadays give a variety of favorable things beyond expectations of all players. Some of the attractions included in this extraordinary role-playing game are celestial island battles, new player level cap and hero skin. Every player of this game is keen to find out 5 new guild raid bosses added by the team behind the development of this game. They have decided to make use of the new player level cap and new functions introduced in this wonderful game. They are satisfied with the game optimization and bug-free game as expected. Individuals who play the first version of this game nowadays are surprised with loads of features added in each session. They prefer the fantastic way to engage in this game. All beginners to the Idle Heroes these days have to know about the gameplay at first. The overall gameplay of Idle Heroes is extraordinary beyond doubt. There are some significant updates in this game from the beginning to now. Individuals who pay attention to top attractions of this game can get 100% entertainment and make their wishes on the enhanced leisure activities come true. You may think about how to play the Idle Heroes at this time. There is an easy way to play this game. Free elements of this game make players more contented than ever. This game starts from the six stars equipment, six stars heroes and diamonds of the game. Free to play version of the Idle Heroes Private Server provides an array of favorable things to all players. You can feel free to join in the guild in this game and take pleasure in the quite fair nature of this PVP system. Every user of this exclusive facility in this game gets the maximum amusement as expected. The auto-battle system is one of the best elements of this popular game. There is no need to sweep the area to find very good experiences and equipment. You can use this feature and get an array of advantages as expected. The idle system in the basic strategic part of this game makes the character of the player to keep farming at all times even when the player switched into offline. This game satisfies every player in particular individuals who have a crush on the casino, blacksmith and tower system. Loads of features of this game satisfy every player on a regular basis. Ardennes Assault is a stand-alone as well as single-player supply game. The overall error and trial demand in the onset attract everyone who likes to know about this subject further. An introductory assignment in this game provides the essential direction for games who are unfamiliar with the elementary controllers. Fun and intense elements of the gameplay aspect of the Idle Heroes satisfy every player. The graphical aspect of the Idle Heroes is nice and fantastic beyond expectations of all players. Loads of entertaining things from the beginning to end of the game play environment these days make players of this game happy. Almost every player of this game enjoys the fun part and gets ever-increasing wishes to engage in it. They love graphics in this game and expect a lot about how to engage in this game. The overall design of the game environment is out of the ordinary as expected by everyone. The smooth character design encourages all players to play this game as long as possible. The first-class graphics and regular updates of graphics are the main reasons behind the overall satisfaction of all players of this game. The overall sound aspect of the Idle Heroes Private Server is exclusive. The scary sound every time the character gets defeated is excellent. It is the correct time to concentrate on soundtrack in this game. The voice acting is moderate. Fun and fantastic sound effects make this game popular in every possible method. You can experience the best entertainment due to the first-class sound effects. All players of any role-playing game in our time expect a lot on the overall sound effects. This is because they make sure that sound effects play the main role behind their satisfaction and 100% entertainment. Idle Heroes is rich in extraordinary sound effects and recommended by players who enjoyably experience the best sound effects. There are more than 200 heroes in every faction with different skills. You can directly summon all your warriors and train them in a proper way to become powerful heroes in the Idle Heroes Private Server. You can convert powerful heroes into spirit material for evolving. Properly use magical gears and outfit warriors for victory at the end. The best heroes in the worldwide arena only can engage in battle in the arena. This is worthwhile to watch them pk online in the multiplayer contest with an aim to get glory. You will get the best rewards when you climb the leader board. Players can let their heroes to train in the Idle system when they are away. They are happy to see strong heroes when they return to the game environment and get ever-increasing interests to use new abilities gained by superheroes ready for battle. They are willing to grow and train the most powerful squad devoid of grinding. Idle Heroes Private Server is an outstanding game and known by loads of entertaining elements. Fantastic elements of this game make every player happier than ever. All players of this strategic game get the highest possible entertainment and enjoy their leisure in every possible method. They are happy about the cool to play nature of this exclusive game. They understand their role to fight all evil forces in the floating mountains with their team of powerful and committed heroes. They use the best suitable strategies and embark on the best adventure with a desire to defeat the overall darkness as quickly as possible. It is the correct time to join guilds and engage in this game with your buddies against the world. I gladly suggest the Idle Heroes Private Server to everyone who loves roleplaying games. You can download this game from Google Playstore and start a step to have fun in the wonderful game environment.